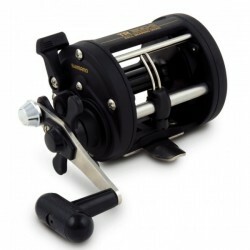 A classic big pit reel, the Shimano Beastmaster 7000 XSA is surprising in its performance ability. Amazingly affordable, the Beastmaster XSA features a whole host of outstanding Shimano technologies that wouldn’t look out of place on a reel double its cost. 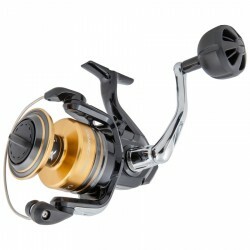 Shimano’s patented ARC spool lets ..
Okuma Ceymar low profile baitcast reels feature A6061-T6 machined aluminum, anodized U-shaped spool, external adjustable magnetic cast control system, ergonomic handle design allows cranking closer to body. 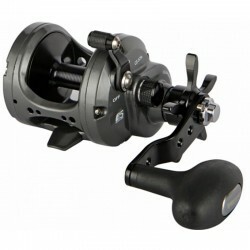 Corrosion-resistant graphite frame and side plates A6061-T6 machined aluminum, anodize..
Okuma new Cortez star drag reel bring light tackle performance to a whole new category of anglers. Drop down gearbox, swept in handle and Ergo Grip handle knob accentuate balance and delivery of power from the XL gearing . 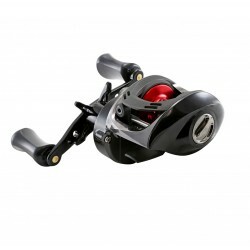 Anodized machined aluminum spool and multi-disc Carbonite d..
Okuma Komodo SS low profile baitcast reels feature stainless steel gearing and drive shafts, along with amazing levels of drag output.Stainless steel main gear for ultimate power and strength. Precision machine cut stainless steel pinion gear.Heavy duty stainless steel drive and spool shafts.ALC: .. 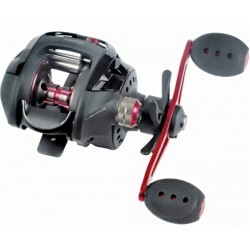 The Quantum® Smoke PT™ Speed Freak Low-Profile Baitcast Reel employs a 1-piece aluminum frame for a solid, torque-free foundation, and an aluminum side cover. At its core are 11 PT bearings (10 + clutch) and Quantum's Continuous Anti-Reverse™ for smooth, sure performance. 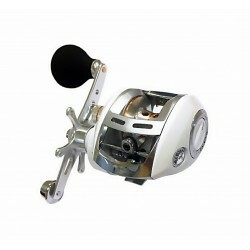 A Micro Infinite A..
From Ryobi a classic Reel for a real experience at your fishing.With 5 Stainless Steel Bearigs.Made by strong graphite material that makes him strong but lightweight also.A honest reel with a value for your money price.CodeSizeBreaksRatioBearingsWeightLine CapacityDrag PowerME03300156000Front5.. 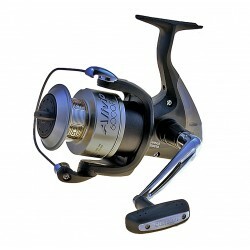 The Shimano Alivio 6000 FA Reel is a great reel with tons of featuresSuper Stopper II Power Roller Dyna-Balance Lightweight graphite body Aluminium spool Trouble-free design.. The Caius is a compact, versatile, and durable bait casting reelDesigned with light weight lure casting in mind. 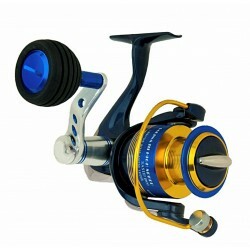 Shimano upgrading the braking system and that means the reel cast much easier. 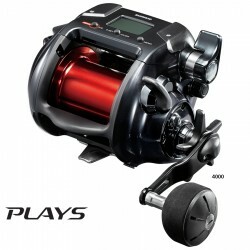 Five kilos of drag power, three stainless steel bearings and one roller be.. 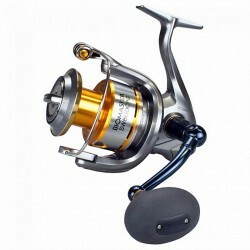 The Shimano Hyperloop 6000 FB Spinning Reel is a good choice for an entry level, medium sized spin reel. The Hyperloop has a front drag, one ball bearing and a graphite body, making it perfect for light to medium fishing applications. It features a classic look and style that are backed up b.. 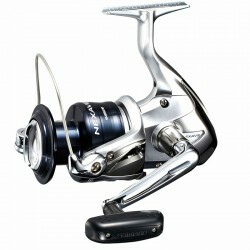 The all new Shimano Nexave 8000FE Spinning reel represents great value for money. 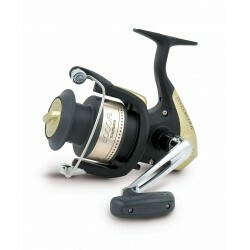 This reel has an XT-7 body to keep it lightweight, while three shielded stainless steel ball bearings and one roller bearing makes winding the single piece aluminium handle as effortless as can be.Retreive per cran.. The new Sedona FI is the first in Shimano's lower end price point models to include cold forged HAGANE gears. The drag power has also been upgraded and the gear ratios increased, meaning the series has models for everything from light freshwater to heavier offshore species in the larger mode.. 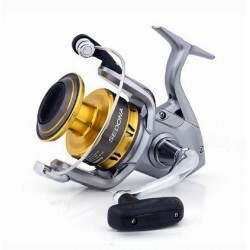 The TR200G is the perfect choice for the novice angler...Though this feature packed and highly affordable reel is also ideal for more experienced anglers looking to carry a second or third reel for use as a spare, or when needing to venture off shore equipped with a selection of different br..